Most advanced Android users know that sideloading lets you gain access to all kinds of apps How to Sideload Any File onto Your Android Phone or Tablet How to Sideload Any File onto Your Android Phone or Tablet You may have come across the term "sideloading" before, but what does it mean? And how can you go about sideloading apps or files? Read More not in the Google Play Store. Even if Google deems an app unfit, like the Amazon Appstore Google Play vs. Amazon Appstore: Which Is Better? Google Play vs. Amazon Appstore: Which Is Better? The Google Play Store isn't your only option when it comes to downloading apps -- should you give the Amazon Appstore a try? Read More , you can still enjoy it without limitation. However, allowing apps from unknown sources onto your device can prove dangerous. Even if you only install apps from reputable locations, you never know if some malware will take advantage of the setting to exploit your device. That’s why Android Oreo is bringing a great change to how sideloaded apps work: instead of having one switch to allow unknown apps from anywhere, Oreo allows you to toggle this option for individual apps. Obviously, this is a huge improvement. For instance, let’s say you often sideload apps by finding them on your PC and placing them in Dropbox. Allowing Dropbox to sideload apps means that you can easily install them, but your phone will block any other apps attempting to do so. You can keep potentially unsafe sources — like your SMS app, which has historically been a place where malware can attack — locked tight. To take a look at this option, open your phone’s Settings app. Select Apps & Notifications, then open the Advanced header. Tap Special app access to open a menu of important permissions you can give apps. At the bottom you’ll see Install unknown apps — tap this, then you’ll see a list of all your apps. Then, it’s just a matter of enabling the Allow from this source slider. Now you can install apps from trusted sources but prevent them from potentially compromising your device. It’s a win-win solution — a great victory for both user convenience and security. 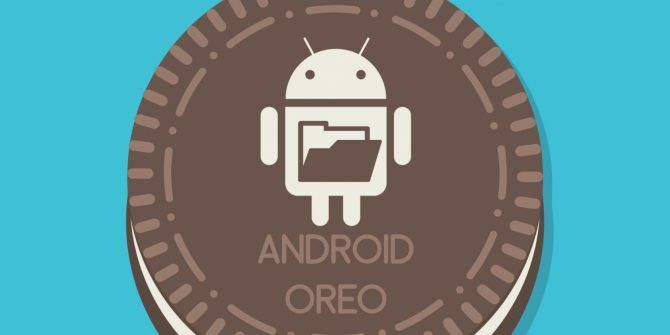 If you’ve got a Nexus or Pixel, you can install Android 8.0 Oreo right now How to Install Android Oreo Right Now How to Install Android Oreo Right Now Want to upgrade your Pixel or Nexus device to Android Oreo right now? Here's how you can do so and skip the rollout wait. Read More . Where do you most often sideload apps from? What was the last app you installed from outside the Play Store? Let us know in the comments! Explore more about: Android O, Sideloading. I mostly sideload Facebook Lite and Messenger Lite because they are geofenced for some reason. The standard apps are bloated, and I'm tired of being "forced" to use the standard app. Amazon, Humble Bundle and Fdroid are all stand alone app stores of known value. None of them are installable from the Play Store, which means someone will at least have to authorize one app to get the APKs on a device in the first place. I suspect that's going to make AOSP devices even more annoying to set up compared to stock Google, especially for people who don't quite know what they're doing.